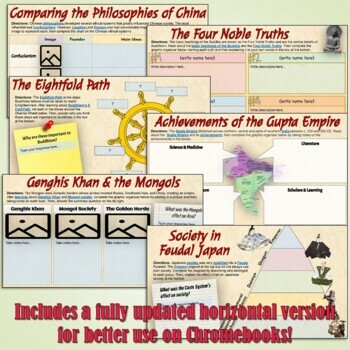 This Classical Asia digital resource includes 11 fully-editable Interactive pages using Google Drive on Ancient China, India, Buddhism, Feudal Japan, and the Mongols! 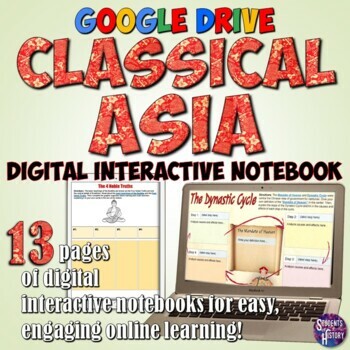 These super-engaging pages can be completed all online with laptops, tablets, or any other device that supports Google Drive! 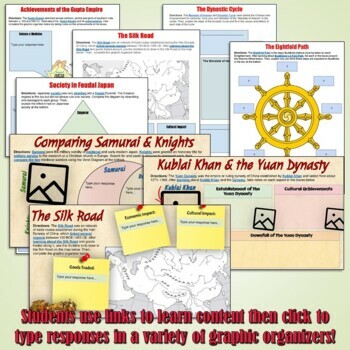 Each page includes links to online sources plus a variety of graphic organizers & activities. 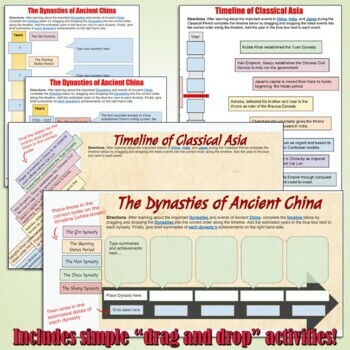 This resource, this interactive notebook version, and many other engaging activities can also be downloaded as part of my Classical Asia Unit Bundle.